The average cost of memory care in Hancock County is $5,235 per month. This is higher than the national median of $4,650. Cheaper nearby regions include Marion County with an average starting cost of $4,787. To help you with your search, browse the 1 review below for memory care facilities in Hancock County. On average, consumers rate memory care in Hancock County 5.0 out of 5 stars. Hancock County has nearly 75,000 residents and a large senior community that makes up almost 16 percent of the population. About 10 percent of Medicare beneficiaries aged 65 and over in this county are living with Alzheimer's disease or dementia. The region is served by the Alzheimer's Association Greater Indiana Chapter, which provides an array of resources for those affected by Alzheimer's. Hancock County memory care facilities are officially called dementia special care units. DSCUs may occupy their own independent building or they may share campuses with assisted living facilities or nursing homes. Hancock County is home to two memory care facilities, including one in McCordsville and one in Greenfield. 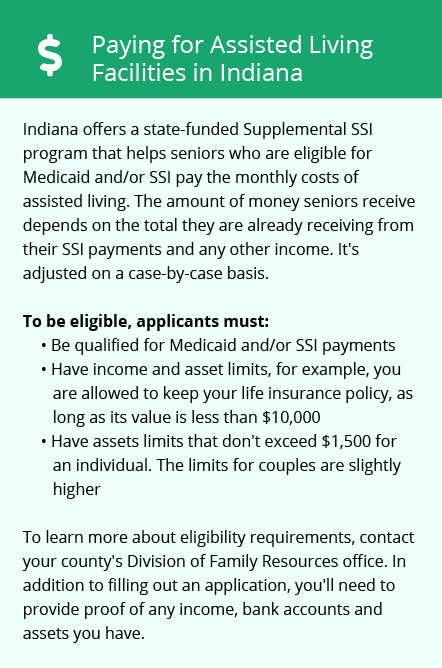 Hancock County seniors do not pay state income tax on Social Security benefits, but all other types of retirement income, including pension income and withdrawals from retirement accounts, are fully taxable. This may impact their memory care budget. Temperatures in Hancock County are typical of central Indiana, ranging between 19 degrees and 84 degrees over the course of a year. The county gets several inches less of snow than the U.S. as a whole, which may appeal to families who travel during the winter months to visit their loved ones in memory care here. Compared to the rest of the state, Hancock County's cost of living is higher than average, though living expenses are generally lower here than in the United States as a whole. Healthcare expenses here are about 12 percent lower than the national average, which may make it more affordable to manage a chronic condition like dementia. With property crime and violent crime rates that are relatively low, Hancock County is a safe place to live. On a 100-point scale, with a lower score indicating less crime, the county is rated 28.8 for violent crime, compared to the national average of 38.1, and 28 for property crime, versus the national average of 31.1. This may provide peace of mind for families seeking memory care services here. Memory Care costs in Hancock County start around $5,235 per month on average, while the nationwide average cost of memory care is $4,800 per month. To see a list of free memory care resources in Hancock County, please visit our Assisted Living in Indiana page. 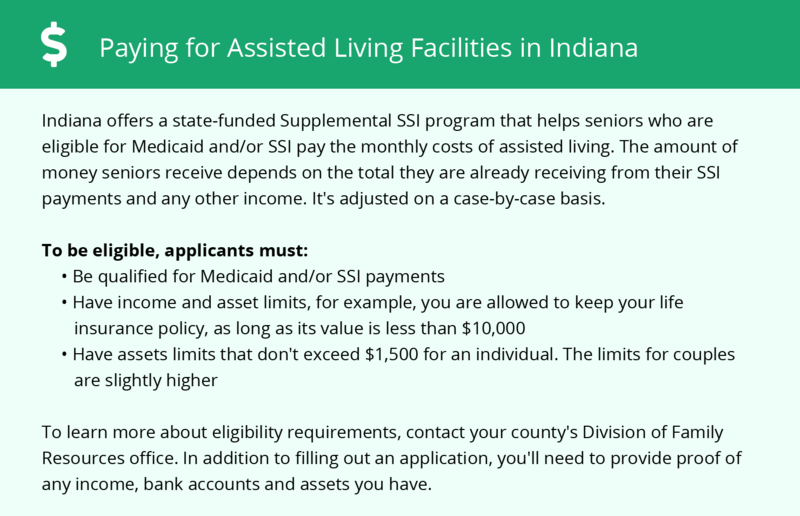 Hancock County-area assisted living communities must adhere to the comprehensive set of state laws and regulations that all assisted living communities in Indiana are required to follow. Visit our Memory Care in Indiana page for more information about these laws.